Le Domestique Tours is one of the fastest growing cycling tour operators in Europe, offering the perfect mix of unrivalled knowledge, expertise, experience and professionally supported riding, alongside superb value for money. We offer a wide range of tours, focussing on the Tour de France and the stunning Cols of the Alps and Pyrenees, standardised challenges such as the Raid Pyrenean and Raid Alpine and training camps based out of a private Mallorcan villa, alongside our own range of unique, bespoke options such as our pioneering King of the Mountains challenge, which sees riders conquer the best of the Pyrenees, Mont Ventoux and Alps, all in one stunning week. 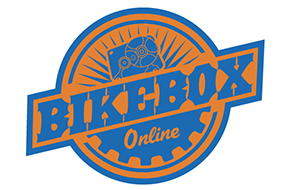 Our partnership with Bikeboxonline ensures that our riders are able to enjoy our tours and challenges on their pride and joy, in the knowledge that it will be safely transported, without the high costs of purchasing a box, or settling for a substandard cheaper luggage option.